This week’s Marine Corps Times cover story delves into the Corps’ plans to replace your Infantry Combat Boot with the Rugged All Terrain boot. Until now, RAT boots have mostly been issued to Marines deploying to Afghanistan, but in 2012 they will become standard issue. The RAT boot was developed after current boots proved unable to hold up to the rugged terrain and harsh conditions Marines were fighting in. With reinforced leather and stitch-down construction that better bonds the sole to the rest of the boot, the RAT boot will last longer in garrison and down range. But while it’s billed as more durable and comfier, the switch means you will no longer be able to choose from one of the many different ICBs currently in use. All RAT boots will be produced to look and feel the same with only slight differences between the temperate- and hot-weather versions. 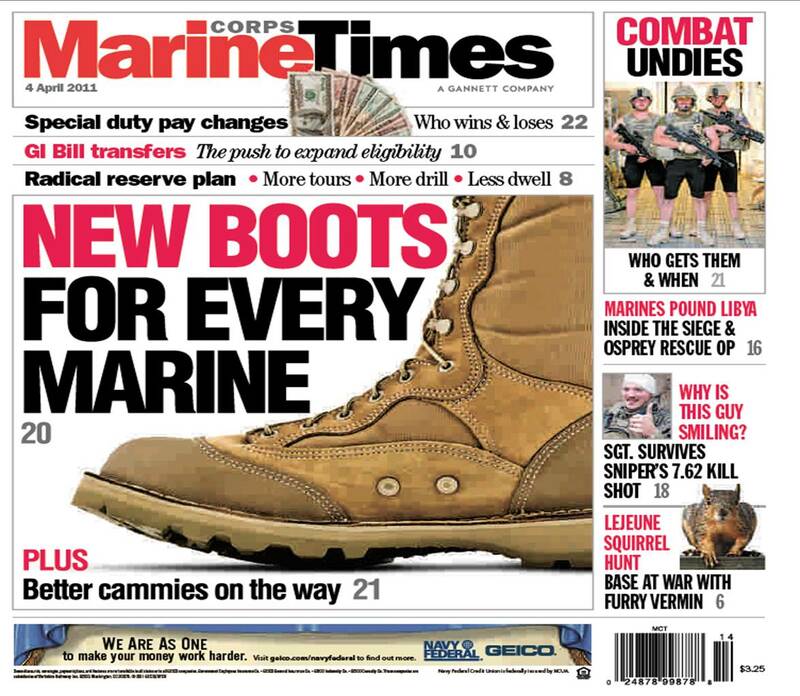 To learn more about your new boot, pick up this week’s Marine Corps Times. Or, subscribe here.